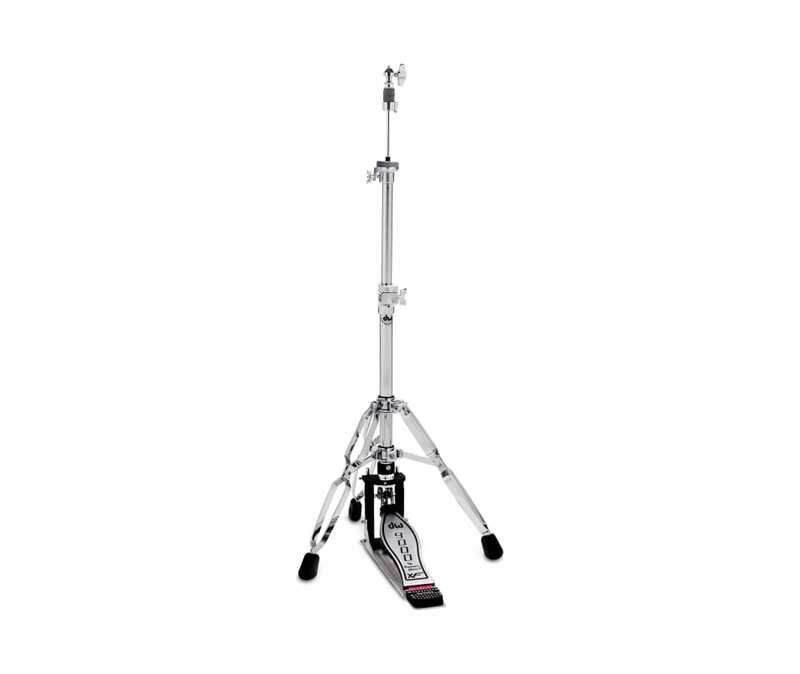 The Extended Footboard Hi-Hat from DW Drums is a three-legged, 9000-series hi-hat with an extended footboard. Heavy-gauge tubing has been employed, alongside nylon insulators which protect against rattle and are thus a boon to drum recording. The 9000-series' 379 locking clutch has been provided, as has a lateral cymbals-seat adjustment, folding aluminum base-plate, Delta ball-bearing hinge, and more. The hi-hat offers a Double Eccentric Cam, increasing sensitivity over conventional hi-hat stands and resulting in a quick, responsive feel. An infinitely adjustable locking-spring tension mechanism gives you the ability to perform precise adjustments, allowing you to offset the weight of the top cymbal and create a feel that's right for you. The hi-hat's extended footboard gives you more room if you happen to use the sliding foot technique, if you happen to play that way.